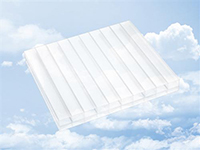 Multi-wall polycarbonate sheets are the best solution for conservatory roofing for the modern home. Available in thickness’s from 4 mm all the way up to 35 mm for maximum insulation values and unrivalled colour/tint options the polycarbonate sheet remains at the forefront of conservatory technology. For installations where the maximum light transmission is required. For installations where protection from sun glare is required. For installations where privacy and protection from sun glare is required. A multi layered dual colour sheet giving the benefits of Bronze tint on the outer surface with the sharp clean lines of the opal inner face giving excellent reflective internal natural light. A multi layered dual colour sheet with a co extruded heat reflective layer in the outer surface reducing the solar transmission by up to 50% compared with standard tint material, added to this excellent shading properties with the sharp clean lines of the opal inner face giving excellent reflective internal natural light. 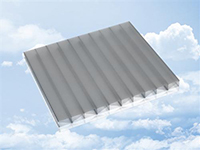 A top of the range 7 wall polycarbonate sheet with an excellent 1.2u value of heat retention giving buildings the best performance in energy efficiency. The sheet benefits from the addition of an active IR co-extrusion layer which in effect takes and filters the suns IR wavelength of light and does not allow this IR transmission through the sheeting like a traditional polycarbonate sheet would. The gentle blue tint has been added to give a relaxed feel to any room and to blend in perfectly with tinted glass used in window panes. 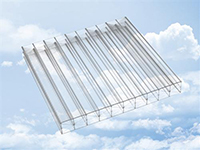 To download the full catalogue for glazing bars and Polycarbonate please click here. Happy St Georges day to all. Open as normal today and till 12pm tomorrow for collections & Deliveries. 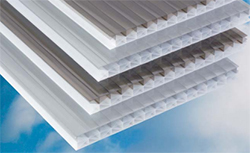 uPVC building products including Fascia, Soffit, Gutter, Underground Drainage and much more. Wolverhampton 01902 490713 and Birmingham 0121 779 7862. Open tomorrow - uPVC building products including Fascia, Soffit, Gutter, Underground Drainage and much more. Wolverhampton 01902 490713 and Birmingham 0121 779 7862. Travel Update - Highway improvement works on the Selly Oak Triangle (Bristol Road, Harborne Lane and Chapel Lane) have started and could result in some travel disruption. During the work, temporary traffic signals, narrow lanes and lane closures during off-peak periods will be required. The footpaths around the former Sainsbury’s store will also be closed. The works are expected to be completed in summer 2020. Top quality roofing services from an honest, reliable company, check out their reviews. Copyright © 2019 Enterprise Building Products . All Rights Reserved.